The simple answer: “about an hour”. But it’s more complex than that: how much air a diver consumes obviously depends on their level of physical exertion. But how long a scuba tank lasts also directly depends on the depth at which it’s used. 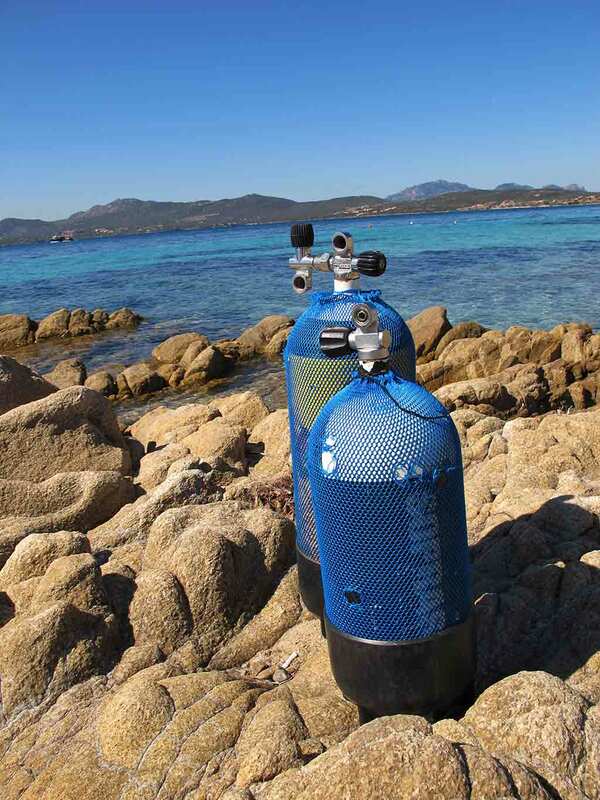 There are varying sizes of cylinder, of course, and the size you choose will affect how much air it can contain and how long the tank will last at a given depth, but the most common you’ll encounter are standard 12L, 200-bar scuba tanks. The deeper you dive, the denser gases become (the more molecules are required to fill a given flexible space). Double the pressure (at 10m seawater) and it takes twice as much gas to fill your lungs with each breath. Triple the pressure (at 20m seawater) and it takes three times as much. Thus, the deeper you dive, the faster you consume air from your scuba tanks, no matter how much air it holds to start with. So how long does a scuba tank last? The average beginning diver’s air consumption in calm waters runs a tank close to empty in around 1 hour at 10m depth (compared to just a few minutes at 40m). Professional and very experienced divers can easily double this time through breathing/buoyancy control and economy of motion. How much air does a tank contain? Recreationally speaking, most tanks are mainly filled to 200 bar; some to 300 bar. How much air do they contain? Multiply the volume of the tank by the pressure it’s filled to (the most common tank sizes are 12, 10, 18 and 15 litres). How much gas can each scuba cylinder size hold?